5 3/4 x 16 x 12 3/4 in. Dimensions are of the CPU unit. The dimensions of the box are 8 3/8 x 20 3/4 x 17 5/8 in.. 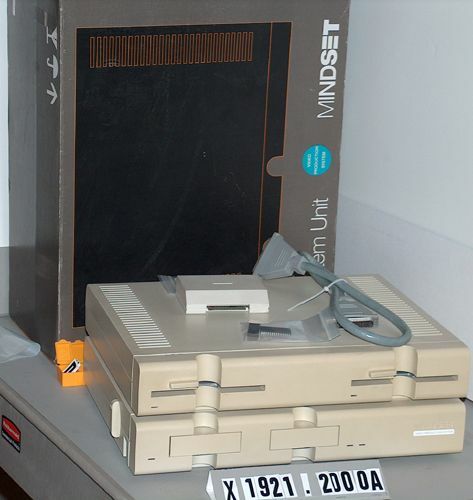 Object consists of video-production system CPU unit and original cardboard box, a separate plug-in module, removable data cable with DB-37-S connector on each ends, two loose "VTI" 28-pin dual in-line package chips (one labeled 252004-005 and one labeled 252004-006), and two small, loose flathead machine screws.. Plug-in module is 1 x 4 1/8 x 3 3/8 in. 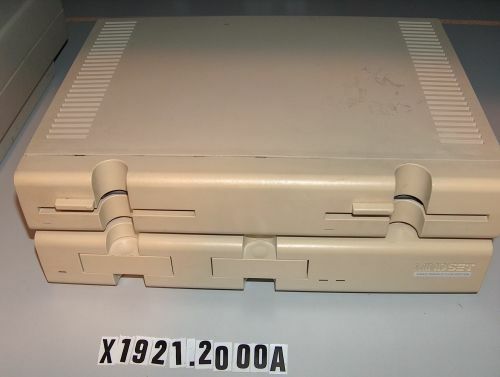 and has connectors on opposite long sides; a DB-37-S on one side and a double-sided printed circuit board edge with 18 copper tabs on each side.